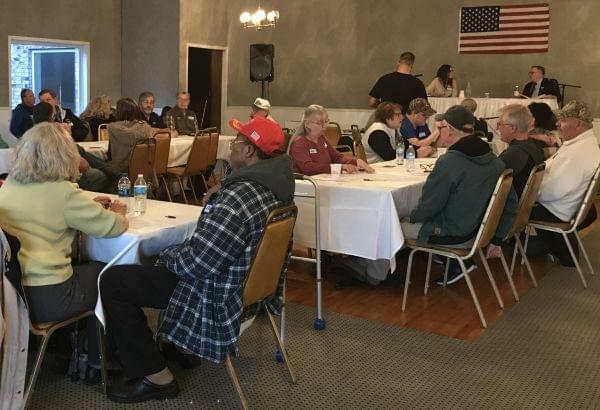 About 40 people filled the small room at Pitstick Pavilion Friday night for the LaSalle County Tea Party’s comeback meeting. 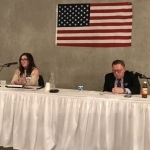 LaSalle County Democratic Party Chair Dani Brzozowski and LaSalle County Republican Party Vice Chair Larry Smith answered questions. 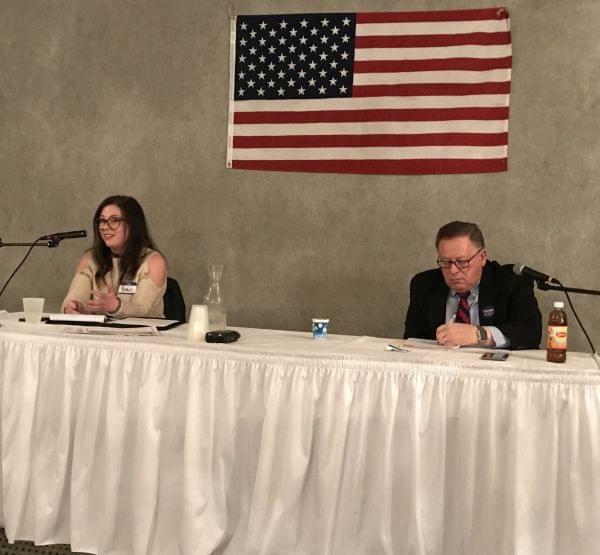 Dennis Corbin of Dayton is leading the Tea Party organization in LaSalle County now. A lot of the people in the crowd were people who went when Art Havenhill led it.